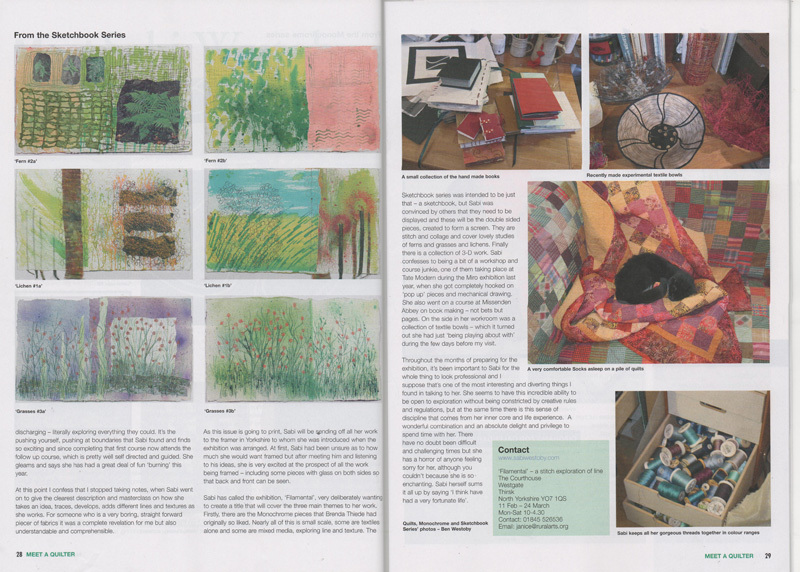 In February 2012 I was honoured to be featured in the "Meet a Quilter" column of British Patchwork and Quilting. I had telephone to ask if my first solo show could be advertised in the magazine. The energetic and cheerful Judi Mendelssohn answered the telephone and thought she could do one better by featuring me in her column. so on a winter's day she came to my house with her camera and we spent several jolly hours together - talking, looking at my work and generally having a ball. 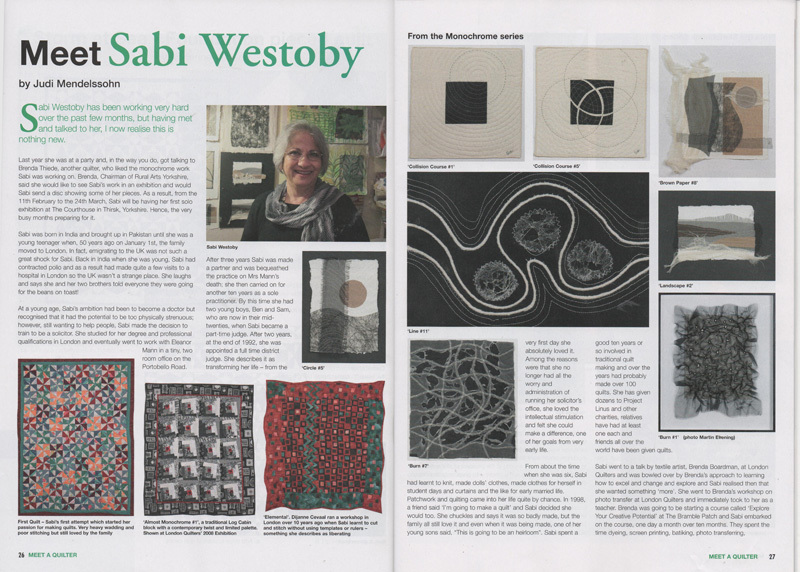 Her feature coincided with the opening of my exhibition at Rural Arts Yorkshire in February 2012 and attracted much interest with visitors.